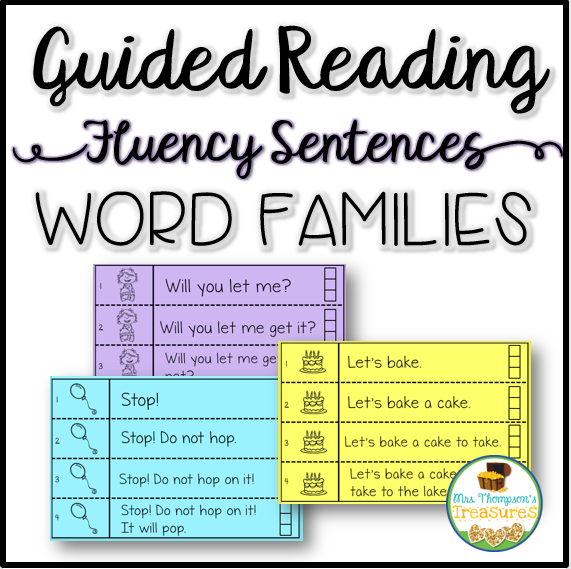 These word family fluency sentences are great for guided reading groups or for use in an interactive notebook! They are also great for teaching how to expand a sentence. Grab the free set of sentences HERE! By subscribing you consent to receive weekly emails from Mrs. Thompson's Treasures.